Are T20 leagues making money? "All of us are unashamed T20 mercenaries, now." The date: June 19, a day after the Champions Trophy final. The setting: a swanky London hotel. The occasion: the launch of South Africa's new Twenty20 competition. Yes, yet another T20 league. South Africa's professed to be different by being a "global" league - although exactly what this means, no one is quite sure. The four overseas cricketers permitted in each XI would feature, like McCullum, the same players recycled from other leagues around the world. Many would represent teams with the same nicknames as others throughout the world, even owned by exactly the same people. Four months later, the first season of the Global T20 League (GLT20) was cancelled. The league failed to secure a stable broadcasting deal and sponsorship; the problems had already cost Haroon Lorgat, Cricket South Africa's (CSA) chief executive who devised the tournament, his job. "According to informed observers, the debacle could end up costing CSA somewhere in the region of $10 million. The fiasco shattered the myth that T20 tournaments guarantee profit. The significant majority of T20 domestic teams throughout the world are still loss-making enterprises. The GLT20 had been slated to begin on November 3, the day after the start of the Bangladesh Premier League (BPL). The clash shows how these leagues are not merely in competition with international cricket; they are also increasingly in competition with each other, for viewers' eyeballs and broadcasters' cash. This year, only June and October lack major T20 competitions. 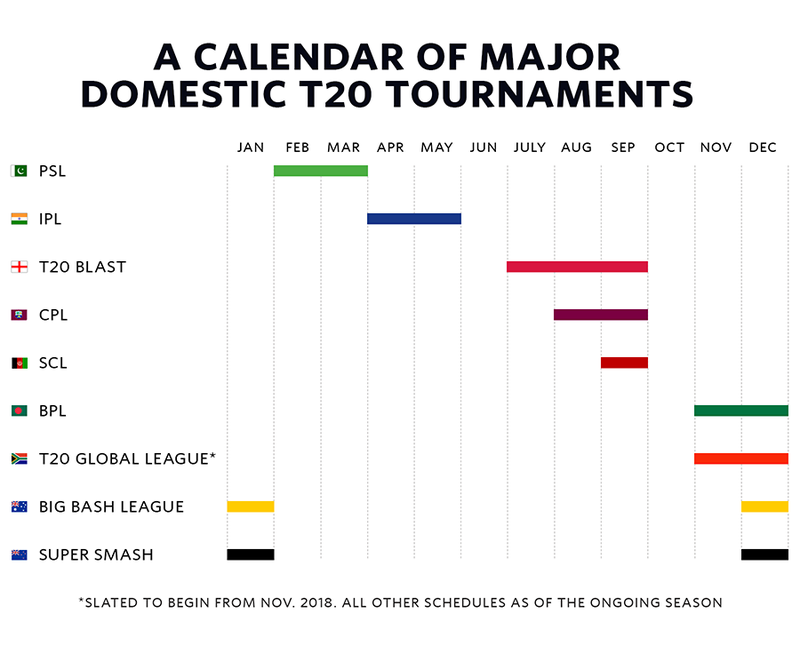 As the calendar becomes more crowded, clashes will become harder to manage: the Big Bash League (BBL) in Australia is expanding this year; the Indian Premier League (IPL) could well gain more teams and games in the coming years; and, from 2020, England will have a second T20 competition, co-existing with the T20 Blast. In September, broadcasting and digital rights for the next five years of the IPL were sold for $2.55 billion, making it one of the world's most lucrative sports league per match. The remarkable contract, an annual increase of over 2.5 times on the previous IPL deal, added to the perception that, in a volatile world, owning a T20 league or team is as secure an investment as owning gold. That sense is backed up by players like McCullum who can now earn considerably more on the T20 circuit than playing for their national teams. Yet, the IPL aside, very few T20 teams or leagues are generating a profit. Even the BBL, widely acclaimed as the best-run T20 league, made a A$33 million loss over its first five years. So the impression of a T20 franchise team as a licence to print money jars with the reality. The existence of so many leagues - at least seven around the world can justifiably claim to attract international stars - is "absolutely a bubble", according to one of the most senior figures in cricket broadcasting. "Someone has to pull back and say what does this ecosystem look like, and what it will look like five years from now, and what are the steps that we need to take to ensure that it doesn't turn into a complete madhouse?" Whatever the future of T20 leagues, it will not look like the present. To understand the fragmented T20 ecosystem today, consider how we got here. Since the T20 Blast launched in 2003, leagues have popped up on the whims of national administrators, opportunistically slotted in whenever there is a brief gap in the calendar. Without broad agreement among administrators worldwide about what the calendar - both for T20 and across all forms - should look like, there has been a mad scramble, not unlike the Wild West of 19th-century USA. "It's a bit of a land grab from these leagues," says Pete Russell, the Caribbean Premier League's (CPL) chief operating officer. "Everyone is trying to set them up and run them at 100 miles an hour." The IPL, with its combination of the nation's love for cricket, first-mover advantage and India's huge economic heft, has long proved itself to be commercially viable, even though many teams did not consistently generate annual profits before the new broadcasting deal. And in Australia, the BBL's popularity - it has regularly attracted TV audiences of 1 million a night, 4% of the population - means that its new broadcasting deal, which begins in 2018-19, seems certain to push the league into a healthy profit. Elsewhere the picture is less certain. In South Africa's new league, an investor pulled out of a franchise before the league was supposed to start, sceptical about the competition's claims that teams would become profit-making from the third season. The CPL has lost money in each of its five years; Russell still considers it a few years away from turning a profit. The BPL makes a modest profit for the Bangladesh board, but the actual teams lose $1-1.5 million a year. Similarly, the Pakistan Super League (PSL) makes about $2.5 million a year for the Pakistan board, but the six teams lose at least $1 million a year each. All these leagues have a very clear problem - one even greater than the unfathomable worldwide schedule. "Most sporting events raise the vast majority of their revenue from their home TV market," explains Paul Smith, a sports media expert from De Montfort University. This bodes ill for leagues in nations that are poor, small or both. And it suggests that, while leagues are focused on growing in India - "it's something you should factor in when developing your league," Lorgat said before leaving CSA - the country's appetite for watching foreign T20 leagues is limited. Even football's English Premier League, the world's most successful league beyond its borders, only raises one-third of its total broadcasting rights from outside the UK. The same has proved true among T20 cricket leagues: the CPL, a league with a small domestic economy, raises only 35% of its broadcasting and commercial income from beyond the Caribbean. And so the fear is that the abundance of T20 leagues today isn't borne of fans' demand for T20. It is also borne of unjustified optimism about the global appetite for T20. After five years, successful competitions should be in profit, believes Simon Chadwick, a sports business expert. "In situations where this does not happen, investors and other stakeholders are entitled to question whether an organisation is being appropriately managed and led, when profit may ultimately be achieved, if an organisation should retrench from its existing position, and perhaps even look towards withdrawal or termination." Given its uniquely favourable circumstances, the wider lessons from the IPL's success are limited. Altogether more relevant is the BBL's development. "The overall objective of the BBL was to appeal to non-traditional cricket audience," recalls Anthony Everard, the league's head. It sent "a very strong message: this is not cricket as you've known it in the past". What has happened since points to how T20 leagues can grow interest in the sport, and hence the overall demand for watching cricket - and ultimately its commercial worth. 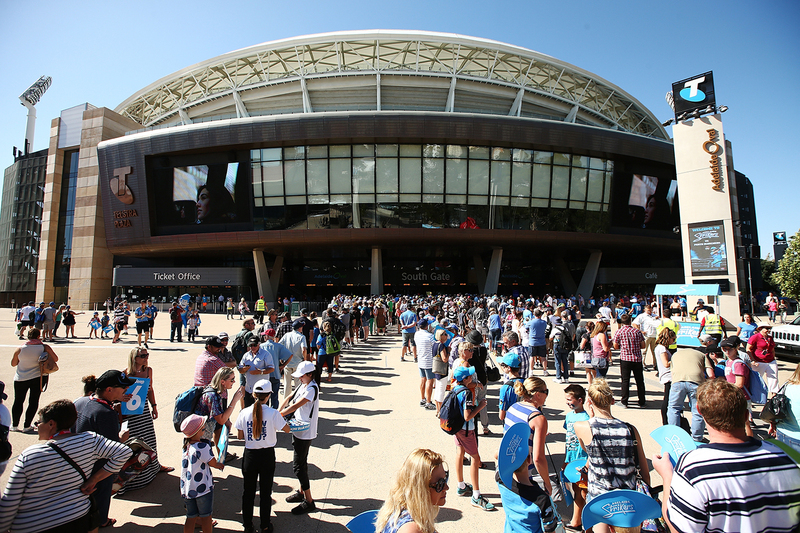 The BBL's success in growing an audience has been underpinned by its long-term planning. In its first broadcasting contract, it emphatically prioritised visibility and exposure - ensuring that every game was on free-to-air - over the short-term revenue maximising that would have come from a pay TV deal. "We don't see it as a loss so much as an investment," Everard says. "It's no surprise any start-up will go through an investment phase, then you move into profitability." The league's ownership structure has reinforced this big-picture outlook. After flirting with private investment, the BBL instead opted to own the entire competition - everything from the league itself to the teams. Such a structure has given the league stability and the ability to absorb financial losses. 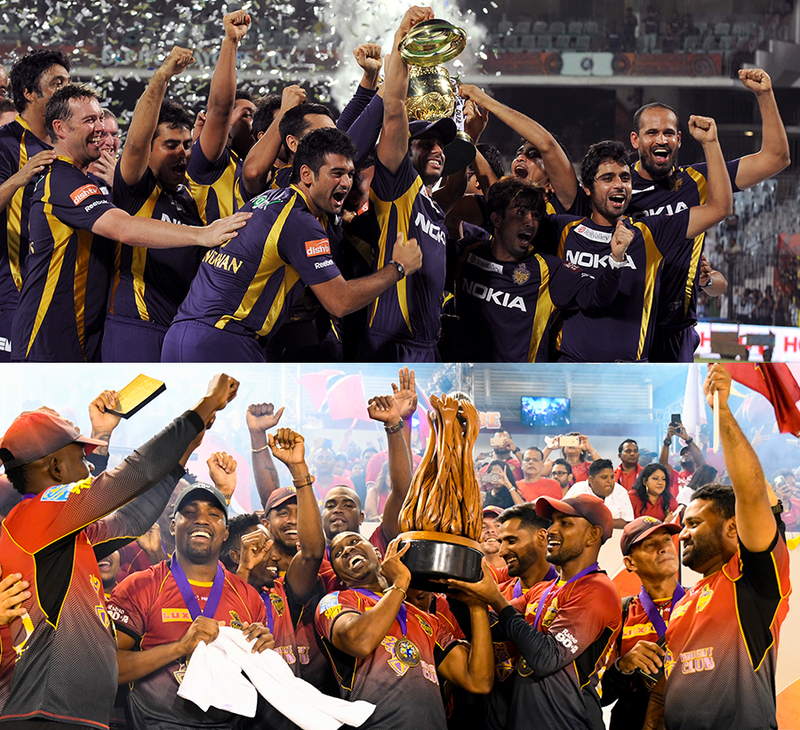 Other leagues have followed the IPL's model of private ownership. And while there can be benefits - owners' entrepreneurialism, importing lessons from other sports, and developing brands in teams in different countries - the result is that leagues, and teams, are less patient about getting a return on their initial investment. In the stillborn GLT20, teams playing at tier one grounds agreed to pay CSA $5 million a year (those at tier two grounds agreed to pay $3 million) before their operational expenses and salaries, which together approach another $2 million a year. Such outlays encourage short-termism. "The business fundamentals of leagues are flawed because the operating expenses are so high," believes the senior broadcasting source. "Everyone loses money so there's no incentive to stay in the game." So it proved in South Africa. The obvious way to make bankrolling teams cheaper is to lower costs. But this would reduce player salaries, making it harder to attract the stars that they need to attract interest in the league abroad. There is no easy way out of the quandary. Yet some clubs have found innovative ways to generate more revenue, which could provide a template for other teams. The BBL has been underpinned by vibrant local rivalries, with both Melbourne and Sydney teams playing each other twice a season. The league deliberately gave "every opportunity for rivalries to flourish," Everard explains. "You can't manufacture it. Fans are smart enough to know when something is authentic, or when it's manufactured." 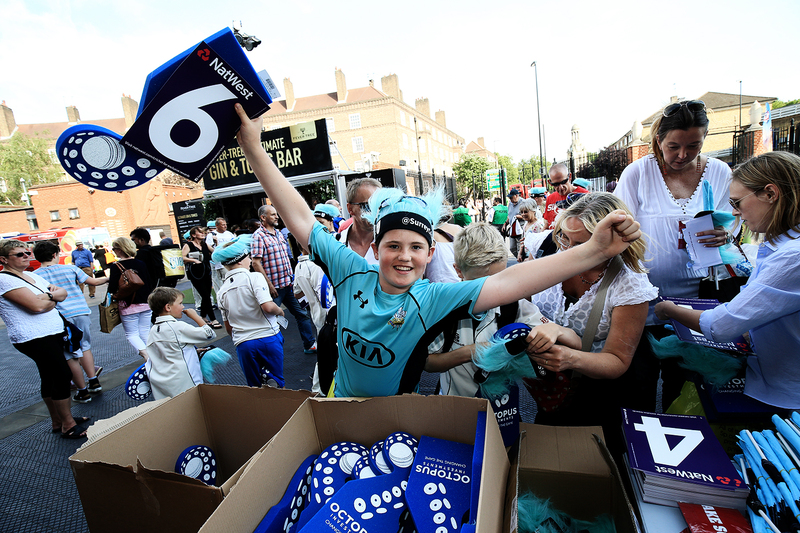 Surrey provides an instructive case study in how T20 teams can develop brands. In a country where the T20 competition has been a source of ceaseless debate, Surrey have been uniquely successful in attracting home crowds. Over eight home games, Surrey's total gate receipts more than doubled, to £2.1 million between 2013 and 2017, success that cannot be explained away merely by the advantages of being in London. "We started working on delivering one sell-out match - Surrey versus Middlesex - five years ago," explains chief executive Richard Gould. "Once that became a regular sell-out game the demand and excitement has grown to other games. "We treat our county matches as internationals matches, both in terms of the way we sell them and deliver the operation on a match day. A good customer experience is very important." The club has tailored its schedule, focusing on night games from Wednesday to Friday, which are best suited to the local market - especially post-work revellers - while developing bespoke corporate packages to generate extra cash. Similar traits can be seen in the BBL, especially its invented traditions - the New Year's Eve game in Adelaide, New Year's Day match in Perth and Melbourne derbies on the first two Saturdays in January. The Kolkata Knight Riders (KKR) have adopted a more pioneering approach - perhaps a glimpse of T20's future. The Rajasthan Royals were the first IPL team to attempt to become an international brand, acquiring a stake in teams in foreign leagues and changing their nicknames to Royals. But so far no side has adopted the approach as rigorously as KKR, who have bought teams in the Caribbean - the Trinbago Knight Riders (TKR), the 2017 CPL champions - and South Africa - the Cape Town Knight Riders. "The question always was how do you keep your brand alive for the rest of the year, how do you grow your business and increase your revenues, grow your fan base and grow your brand?" says Venky Mysore, KKR's chief executive. "What we landed on was to figure out a way to potentially own multiple franchises - or assets, as we call them - and in an ideal world we said that if we have three or four or five assets then it becomes a year-round activity." The idea has several strands. One, to develop synergies in coaching and support staff - Simon Katich works across all three franchises, Jacques Kallis is head coach in India and South Africa, and the analyst and other staff work for all three teams - to develop competitive advantages on the field. Two, to collaborate between franchises off the field and share best practice in everything, from finance to contracts, marketing, digital content and merchandising. Sharing staff is, as Mysore explains, also financially efficient. And finally, to keep fans and sponsors engaged throughout the year. "The two pillars on which you build a sports franchise are your brand and fan base," says Mysore. Owning franchises outside India means "we are able to provide a lot more value for brand and opportunities for them to activate throughout the year as opposed to going to sleep for nine months a year before the next season happens." Even so, getting KKR fans to follow Knight Riders teams in other leagues has proved challenging. Most of TKR's matches in 2017 took place at 9pm local time - thereby best suited to the Indian market watching in the morning - yet Indian viewing figures remained significantly less than those for state Indian T20 leagues, like the Tamil Nadu Premier League. For KKR's venture to move to the next stage - to become a tool for generating more revenue, rather than merely reducing costs - on-field synergies must increase. This year, Sunil Narine excelled for KKR in the IPL and then for TKR in the CPL, but rather than join Cape Town Knight Riders in South Africa, he signed for Dhaka Dynamites in the BPL instead. If the Knight Riders had, say, four players representing all three teams, it would be easier for them to develop a coherent identity. In the future, as already happens for coaches, players might sign contracts to represent a franchise across multiple leagues. Most importantly, some of those players should be Indian, giving Indian fans more reason to watch; instead, Indian players remain barred from overseas T20 leagues. Perhaps there are broader lessons about commercial viability from other sports. The socialist traits of US sports leagues - the draft system, and equitable sharing of revenue between teams, both of which are designed to ensure competitive balance and unpredictability - has influenced how T20 leagues are structured. Both the BBL and PSL have studied Major League Soccer in the USA, and how it established itself in a saturated sports market. To Everard, there are two transferable lessons: "Don't try and be something that you're not - they tried to Americanise soccer," and to focus on playing games in suitably sized stadiums. Major League Soccer previously had terrible experiences playing in barren NFL stadiums. Sales of merchandise and licensing (allowing companies to use KKR's name on their products) remain small - only about $1 million a year for KKR, under 5% of total revenue - although Mysore believes these can eventually be worth one third of KKR's total revenue. The world over, franchises are experimenting endlessly in their attempts to raise more cash. Teams are gathering data on fans to sell to sponsors. Leagues are innovating in their use of digital media - the CPL started live-streaming games over Facebook this season - to engage new fans, and focusing on delivering bite-sized videos on social media. One hope is that the growth of satellite and live streaming through on-demand websites will increase competition for rights and drive up prices, just as happened with the IPL, when Facebook bid $610 million for the rights to stream five years of games. Shoaib Naveed, the chief operating officer of the PSL's Islamabad United, explains that trying to make a profit is "a learning curve. But slowly we are also starting to develop annual calendars carrying out activities - talent hunts, tournaments, matches - in the off season to keep consumer interest alive." It will, he predicts, "take a few years for that to properly develop and gain a foothold in the sponsors' mind." Does making money actually matter? In 2017, even to broach the question seems sacrilegious. And yet, Premier League football owners routinely lost cash for most of the league's history, with owners treating their teams as if playing a sports management computer game rather than running an actual business. There are psychic rewards - benefits that can't be measured financially - to owning a sport team: associating with superstars, free publicity and public goodwill. Almost everyone who buys a team is passionate about sport, diluting their interest in making money from the side they own. Owning a sports team is also a symbol of wealth and brings visibility; George W Bush invested in Texas Rangers to increase his public profile and credibility before running to become US president. 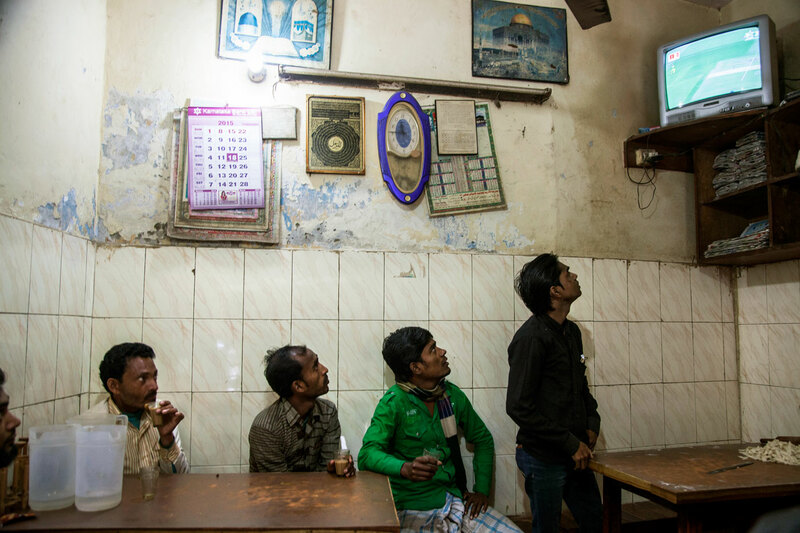 In Bangladesh, rich industrialists bankroll teams. They view running a franchise as "part of our CSR [corporate social responsibility]," explains Obeid Nizam, the chief executive of Dhaka Dynamites. Yet even there, owners are not content to suffer financial losses indefinitely. "The current BPL model is not a money-making model. We're working on it and discussing with the BPL," Nizam says. "We've written to them a number of times. They said they would sit down and think about it, but nothing happened." He hopes that the BPL will consider a form of revenue sharing - like passing some of the league's central sponsorship onto the franchises themselves - to militate teams' financial losses. The world over, sports owners are increasingly demanding a return on their investment, in the way that has long been the case in US sports. Even in football's Premier League, owners are learning how to make cash. While many football owners (like Jack Walker, a local steel magnate who led Blackburn Rovers to their only league title in 1995) once made a loss because of their support for the club, T20 leagues have been around for such a short period that there are no lifelong fans among today's owners. They are naturally more driven by commercial imperatives, especially in nations where cricket is not the dominant sport and the reflected glory of owning teams is less. As the chief executive of Brimstone Investment Corporation Limited said when the company withdrew from running the new Stellenbosch franchise in South Africa: "This venture had to undergo the same process and be tested against our standard investment criteria as all other investment proposals." That it failed to do so was not merely a red flag for South Africa's competition, but for leagues the world over. The global T20 calendar is only going to become more disjointed. Existing competitions are expanding - the CPL might extend by a week next year, and has designs on adding teams from Canada and the USA; Everard predicts that after its expansion this coming season, the BBL in five years' time "will certainly have more games and I think it would be reasonable to assume that we will have more teams as well." New leagues are launching. Minor ones, like Afghanistan's T20 league (Shpageeza Cricket League), are making a renewed push for global attention. If the World T20 reverts to being every two years, as expected from 2020, that will further compress the space for leagues. And the IPL's sheer economic might, with the BBL and perhaps the new English competition formidable too, could also undermine less lucrative leagues, because the extra money players could earn might seem insignificant set against the financial risk of being injured and missing the bigger leagues. It all adds up to the sense of a centre that cannot hold. "Personally as a cricket watcher and supporter of the game, I don't think there is enough space for so many leagues," says Naveed. "The ICC and governing boards, along with the various stakeholders, will have to come up with a more regulated and systematic structure that makes commercial T20 leagues more viable in the long run so that there is a balance between domestic T20s and international cricket." More collaboration between T20 leagues is inevitable. The PSL has already been in communication with leagues in the Caribbean and Bangladesh about potential champion v champion matches. One solution is an old one: the Champions League, which was scrapped after its sixth edition in 2014. The competition was "ahead of its time," says Everard. Franchises believe that the tournament could help them generate more cash and so make their T20 leagues more viable. For all the obstacles - notably the players eligible to represent multiple teams - there is broad support, including from KKR, for the tournament's return. As the number of prestigious competitors has burgeoned, so the concept of a Champions League has become more relevant. But the league would need to acquire sporting equity it never possessed before, when it was jarringly skewed in favour of Indian representatives. Its nadir came in 2011, when, after injuries to Indian players, Mumbai Indians were allowed to field a fifth overseas player "to ensure the integrity of the tournament". Yet even if the Champions League were revived, there remains a sense that the coming years will witness a reckoning for T20 competitions. "Market forces will determine how these leagues end up - which ones are successful and which ones are not. But I'm not convinced there is a market for all eight leagues or however many there are," Russell says. And so after a certain point the tussle between T20 leagues threatens to become a zero-sum game - for one to grow, another will need to weaken. The supply of elite cricketers, and amount that fans will watch, is limited. Most importantly, for broadcasters, "the cash is finite," according to the broadcasting official. "It's not possible for the pool to just keep expanding." Russell envisages "a culling of the leagues and further discussion of how do we all work this out together?" He believes they are also played over too many months of the year. "I don't think anyone wants to see these T20 leagues going on all year. I just don't think that's sustainable. At the moment there's no stopping the juggernaut." Perhaps the most likely outcome is for a rationalisation - with the biggest leagues expanding, and others merging, across nations. Cross-nation leagues are common in other sports - rugby union now has South African domestic teams playing in European domestic competition - and might soon do so in T20 too. So, alongside a booming IPL, a portrait of the future might be cross-nation leagues - an Asian league, with teams from Bangladesh, Pakistan, Sri Lanka and Afghanistan; teams from New Zealand, and perhaps even the Far East, in the BBL; and the CPL becoming an Americas League, gaining teams in Canada and the US. Leagues will also increasingly play games beyond their borders: the CPL, which already plays in Florida, is considering playing in Singapore and the UAE. The upshot could be a sanitised schedule. There would be fewer high-profile leagues, but these would grow in number of teams, fixtures and prestige. With fewer leagues, and a rationalised international calendar, scheduling clashes could be mitigated, ensuring that the best players were available more often. The availability of stars matters: one of the biggest determinants of overseas viewing for the CPL is whether Chris Gayle is batting. Eventually, the helter-skelter of T20 will give way to some sense of order and normalcy, and a schedule that becomes easier to comprehend. "I see it as the evolution of the sport," Everard says. "Over a period of time things will settle down and a natural order will emerge. Ultimately it will come down to what the fan preference is." The process of getting there will be Darwinian. For some leagues to surge to new heights, others may have to flounder - or cease to exist altogether.